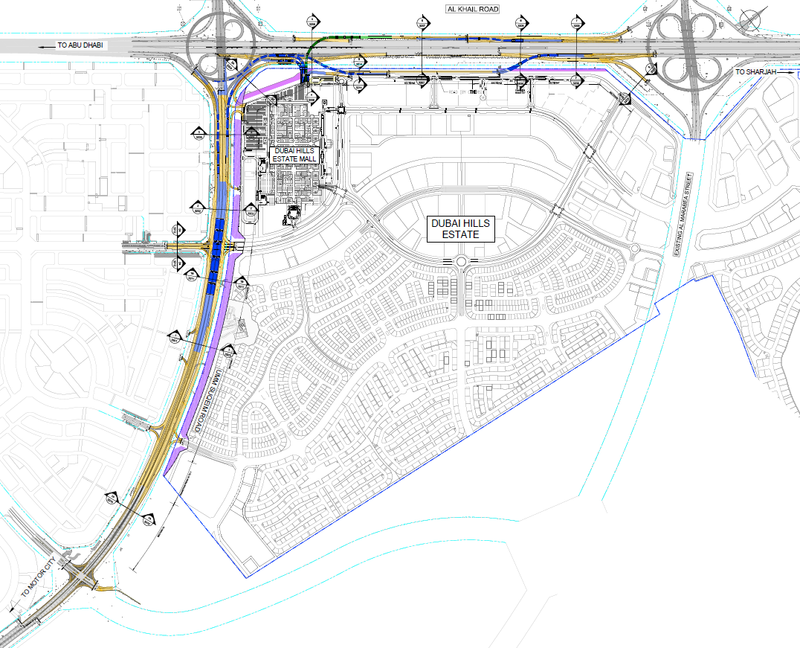 Civil & Infrastructure Division of CSCECME received the Letter of Acceptance from Dubai Road &Transport Authority (RTA) to be the Main Contractor for R881/3C2 Comprehensive Improvement of Parallel Road on 23rd, January 2017. 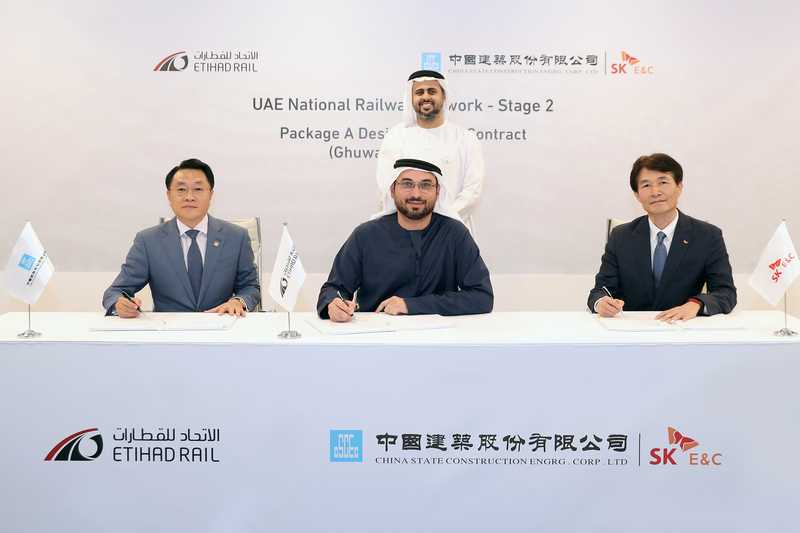 The total contract value is about AED 800 Million, which is equivalent to US Dollars 216 Million. 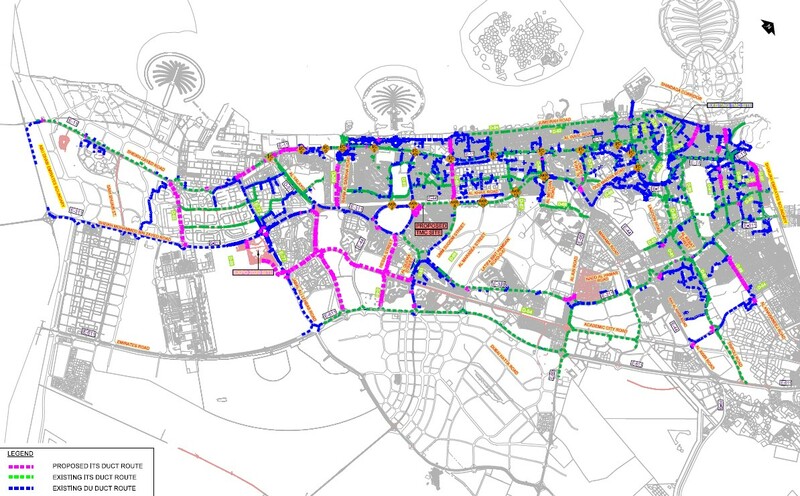 The project is the continued extension of Al Asayel Street (D72) and First Al Khail Street (D86), as well as the updating improvement of Al Yalayis Street between Mohamed Bin Zayed Street and Sheikh Zayed Street. 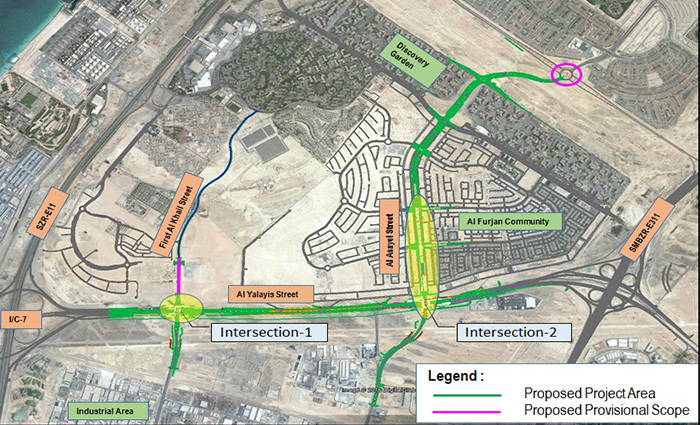 This stretch of Al Yalayis Street is intersecting with the both Parallel Roads. 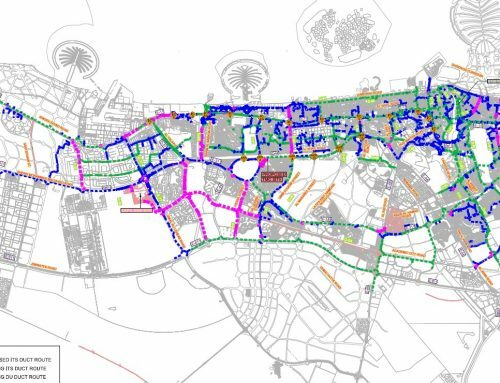 The scope includes construction of 6.4 Km of roadways works for Al Yalayis Street, Al Asayel Street and First Al Khail Street. 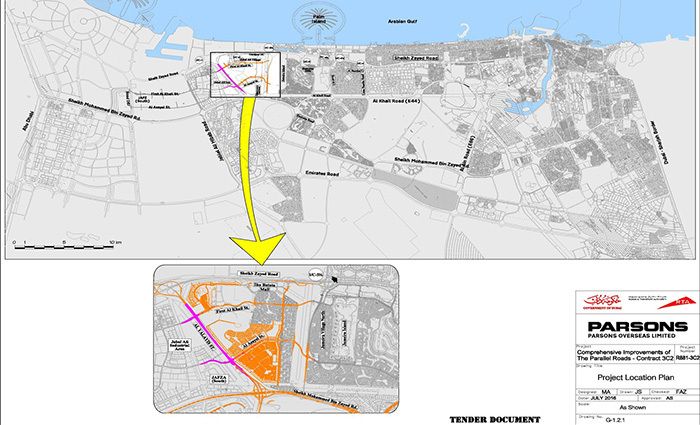 The scope also includes construction of two intersections of Al Yalayis Street with Al Asayel Street and First Al Khail Street. 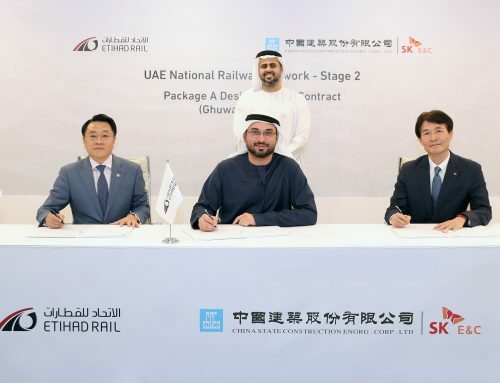 The two intersections configuration contains evaluated signals and second level bridges for the left turn movement (Southeast direction) with a total length of 620m for each directional bridge. 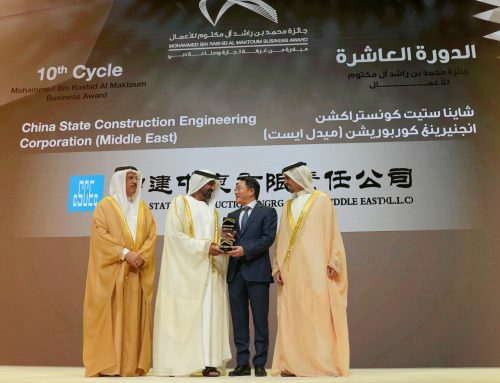 R881/3C2 Comprehensive Improvement of Parallel Road Project is one of the largest infrastructure projects (according to the contract value) which awarded from RTA in the past few years. 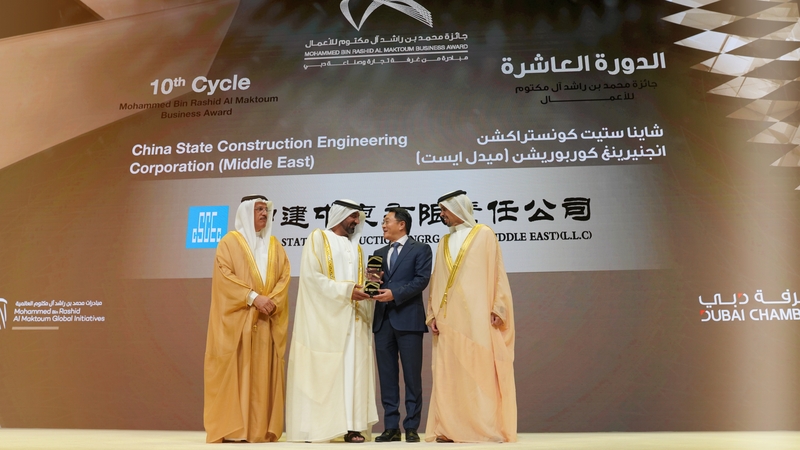 This is also the 8th cooperation between RTA and CSCEC ME since in 2006.